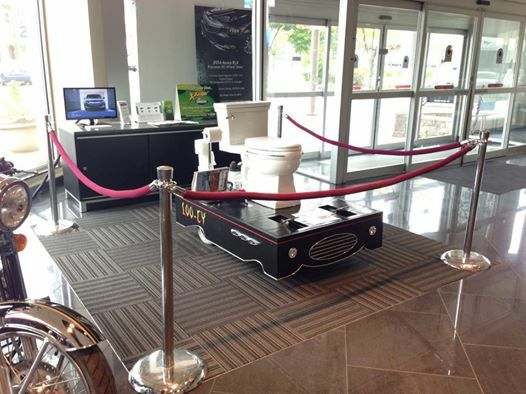 Introducing Loo-cy, our hybrid Loo boldly going where no toilet has gone before. 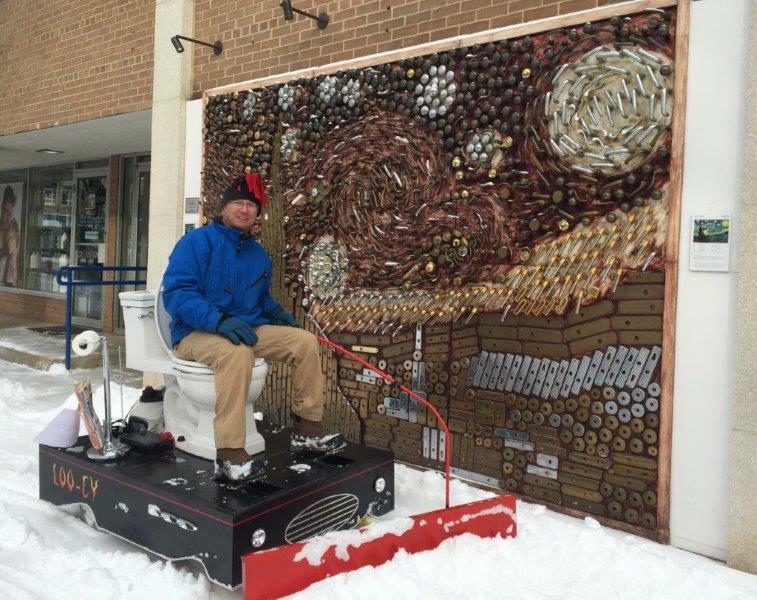 Loo-cy represents Union Hardware's continuing creative thinking. 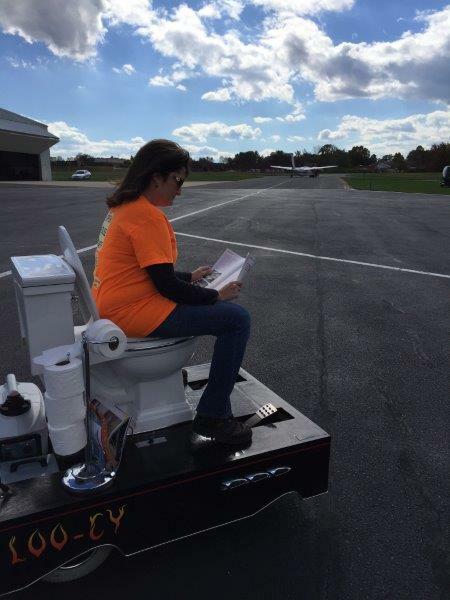 Here is the brief life story of Loo-cy and the inspiration and fun that goes with her. Union Hardware was introduced to the DC Pride Parade in 2012, a very different experience for us. 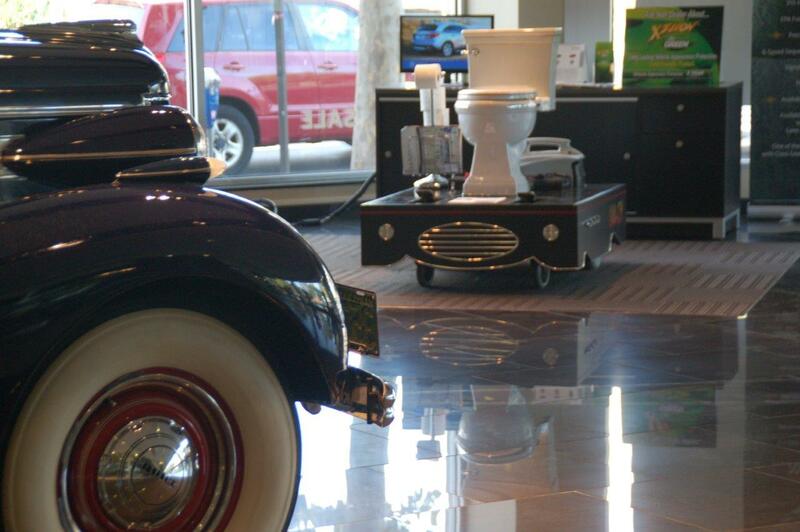 At that time, we created the "Flaming Queen" pulling a tub on wheels. 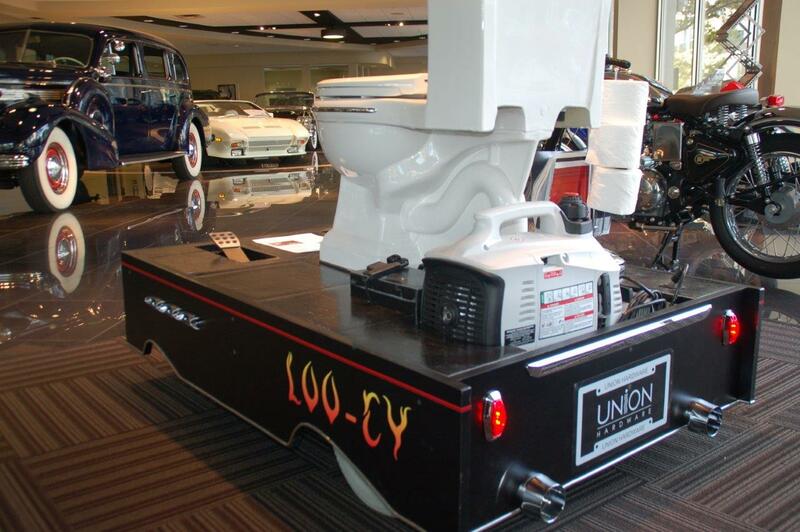 For 2014, we needed another ride and what better float than a motorized toilet, something very personal out in the public. The thought was to create a hands free ride that magically moved though the crowd. In "Pants Down Mode" the pedals would be hidden, the hands would be free to read, smoke or drink, all while listening to Little Richard's Lucille being played by our marching brass band. That was where the fun started. 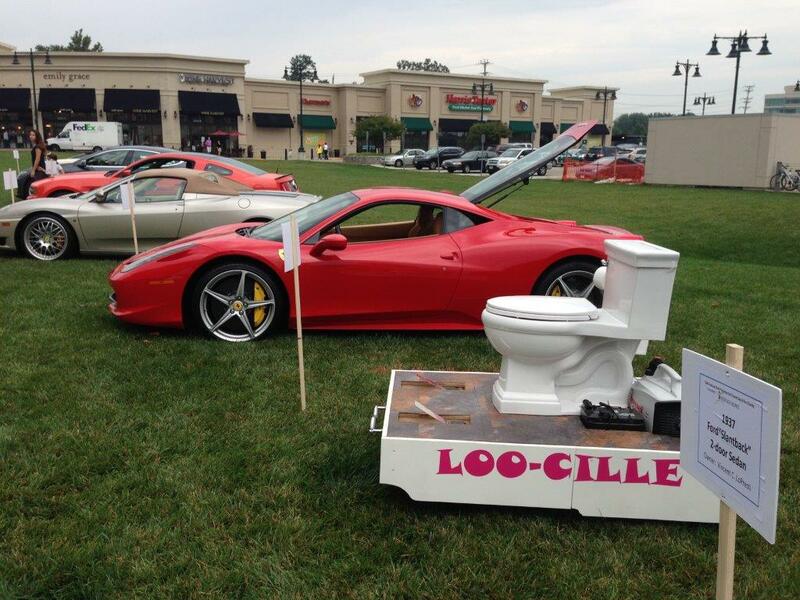 As a joke, Loo-Cille was entered into a car show in Potomac, Md and won 2nd place beating out the Ferrari's! That was a surprise and opened up some doors. 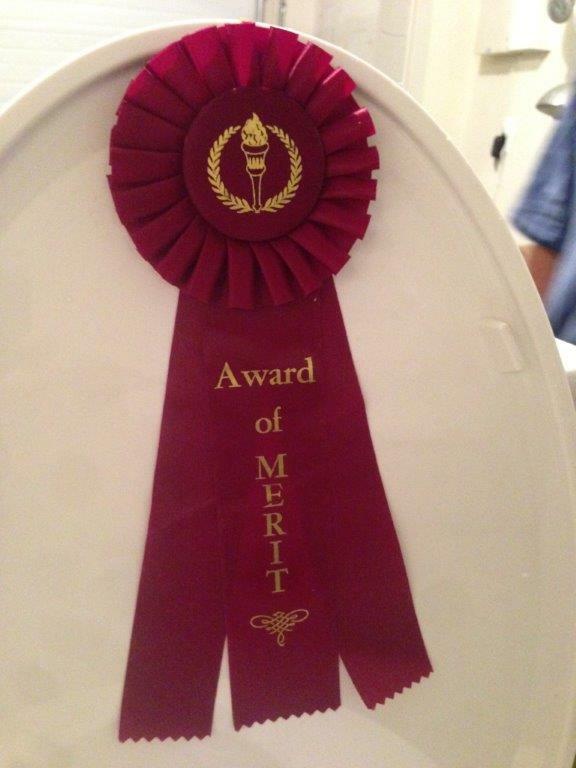 Coming off this unexpected win, Loo-Cille was accepted into the large Bethesda car show, a no joking matter. Loo-Cille needed to "shape up". 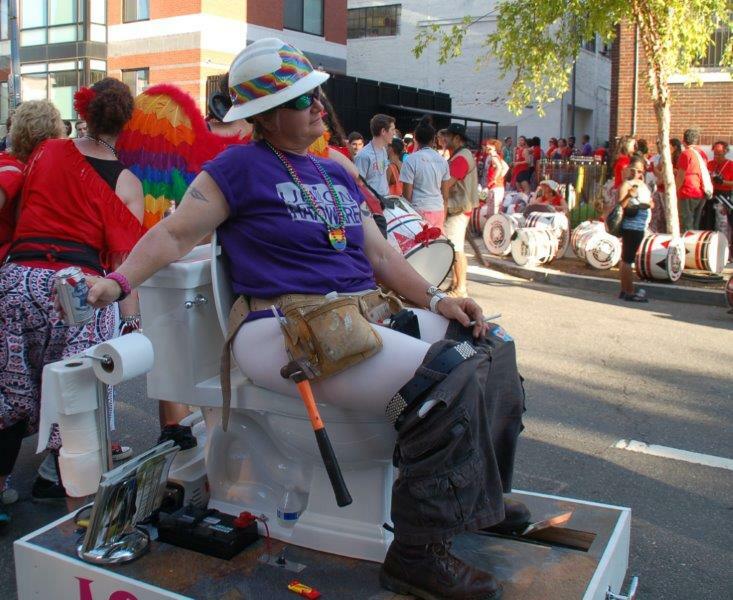 The white and pink for the pride parade was no longer going to work. 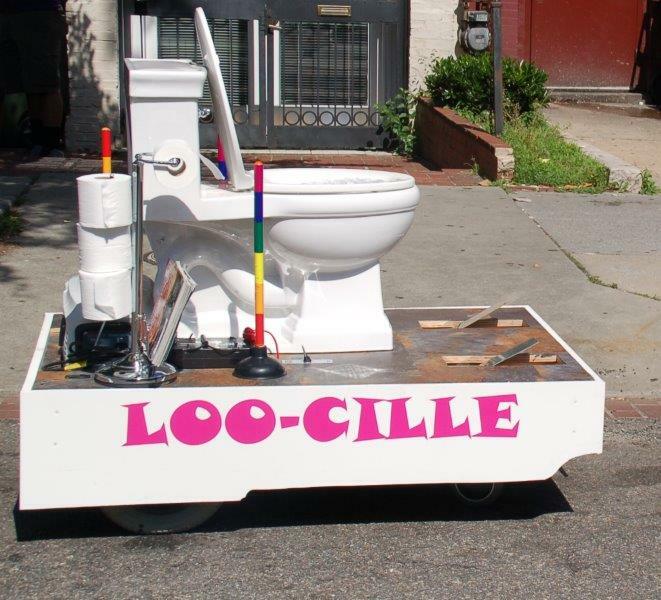 Attitude, black and chrome with red pinstriping was needed for our agressive alter ego to Loo-Cille. Loo-cy was born. 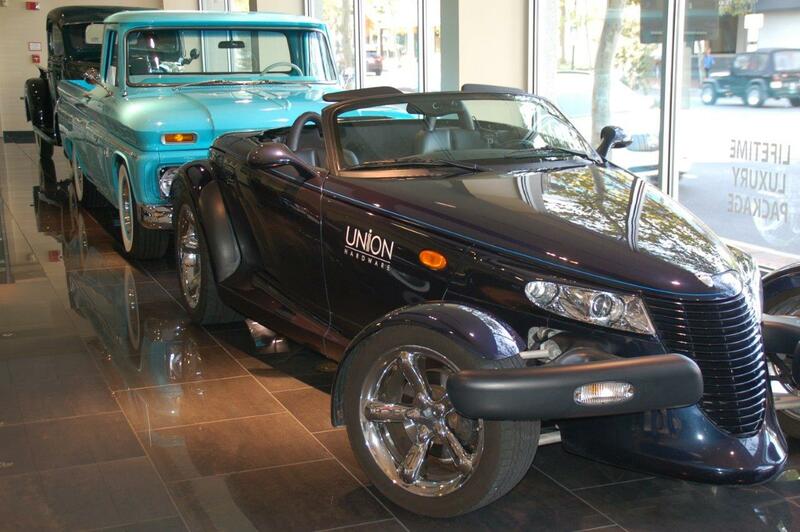 Lights, dual exhaust, and more chrome all over was added. It worked. 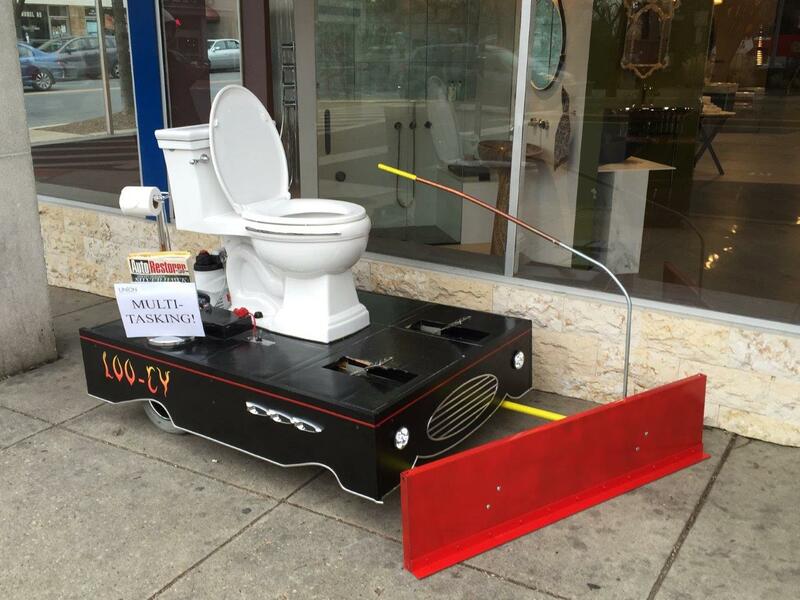 Loo-cy was put on display and once again, she stopped people in their tracks. After two car shows, it was time to step outside the bowl again. Loo-cy went out to the Gaithersburg Air Park for a plane show and a ride on the tarmac. Loo-cy had been dormant for most of the winter until... Heads Up! Snow in the immediate future. 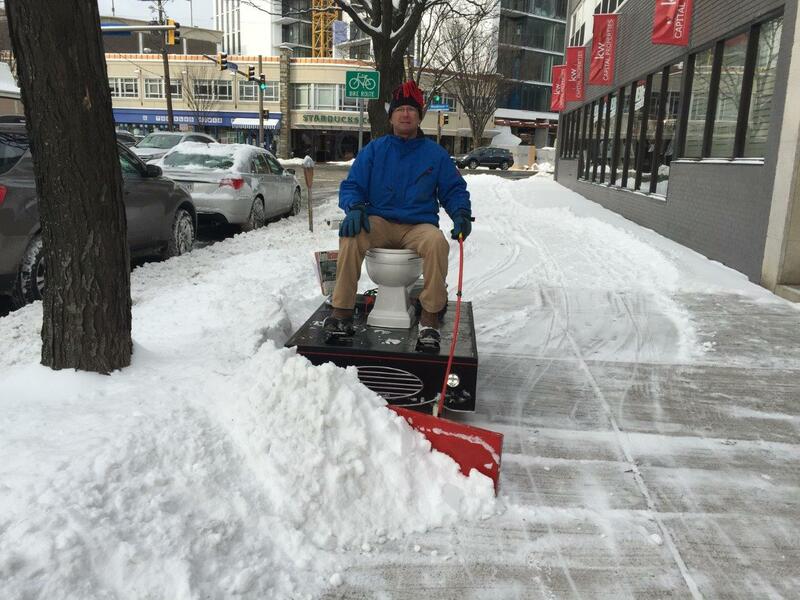 Loo-cy & snow... we need a plow! We quickly created a plow from one of our stock shelves and some plumbing pipes. Loo-cy was ready for the snow. We got hit with about 6 inches a few days later and Loo-cy sprang into action. 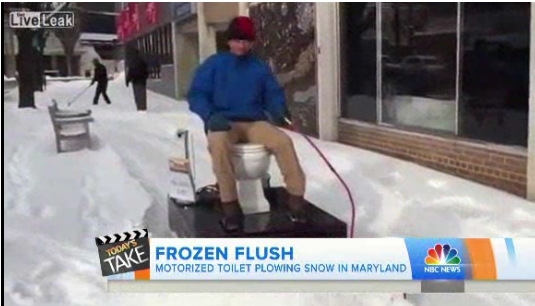 Loo-cy plowed while the camera rolled. Let the fun begin. Cars stopped, customers came out of the Tastee Diner and pointed. Once again, the crowd went wild! Within 24 hours, things went nuts. 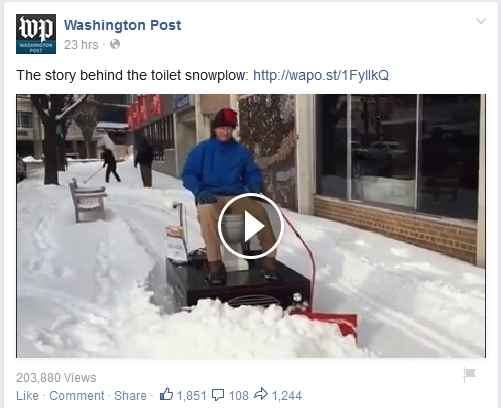 The video was picked up by everyone from the Today Show and all the networks to radio and the social media outlets. We didn't expect that much attention. 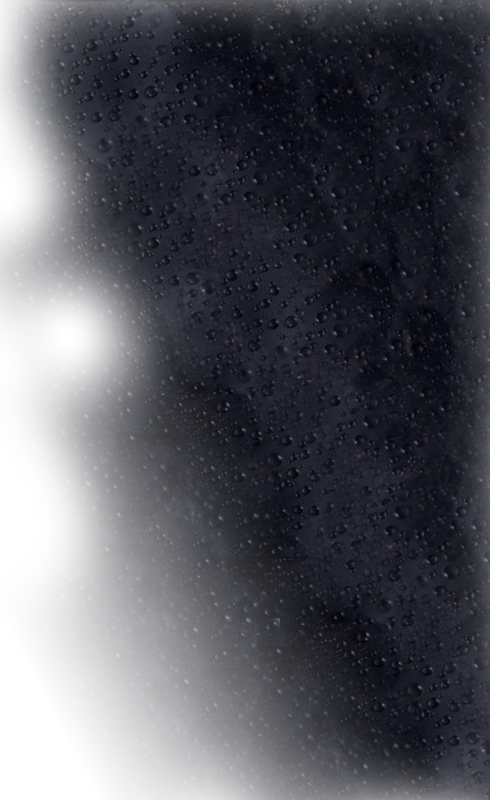 The public seems to appreciate fresh creative thinking, something that we have been doing a long time.